Live Bait – picture a Mediteranean style restaurant complete with mosaics, white interiors and sweeping views of the harbour and cafe del mar type of music and you have a spot worth spending the afternoon. 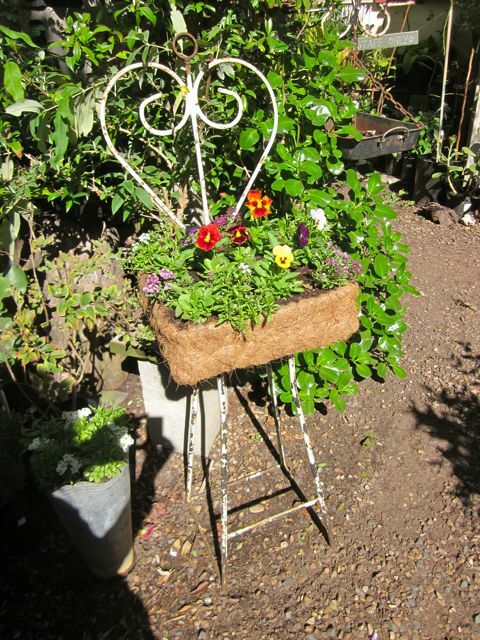 The prices are moderate and it offers good value for money. 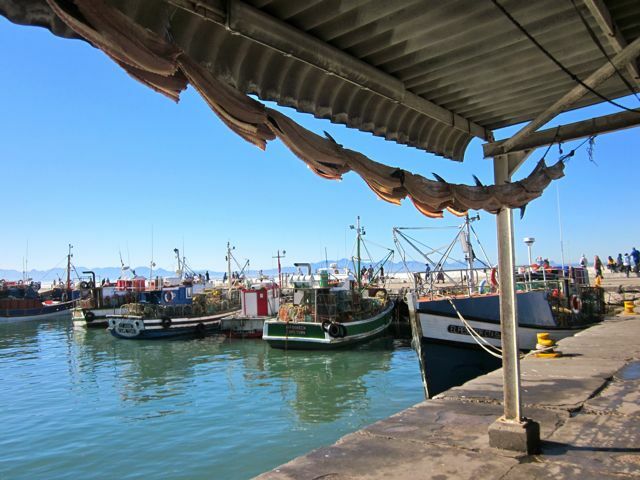 I would highly recommend the fresh fish – it comes straight from the harbour and you cannot get fresher in Cape Town. 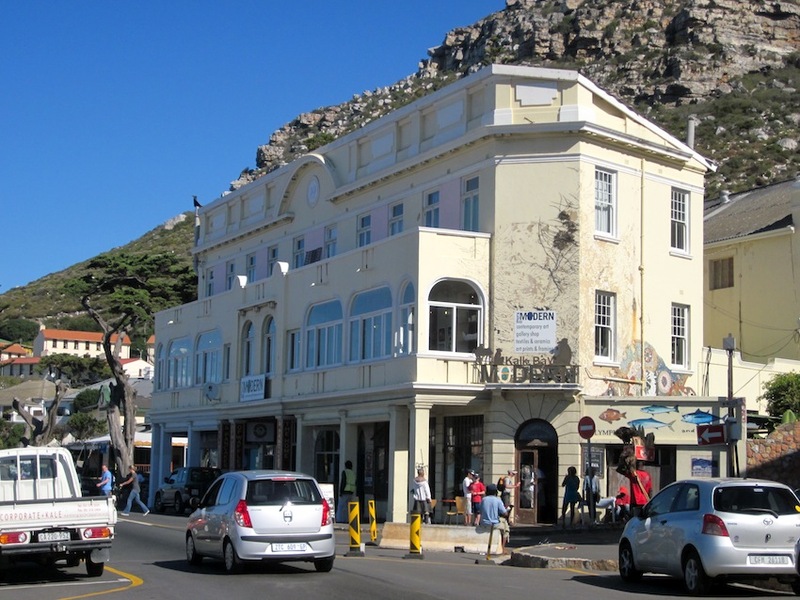 The Polana – it was a very clever strategy of the owner to include this as part of the mix, yes, the Polana is a restaurant – but it is mainly focused on being a glamourous bar where you can sit right next to the breaking waves of the ocean on very comfortable leather sofas. 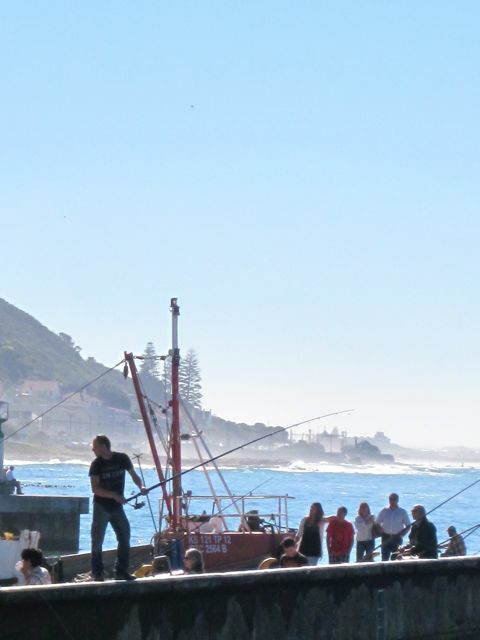 As such he captures most people who come to the harbour – those on a budget will eat at his fish & chip shop and then head into Polana for drinks. There is live music here on a Sunday. Open nights and weekends. I would highly recommend this spot for a cocktail and wave watching! 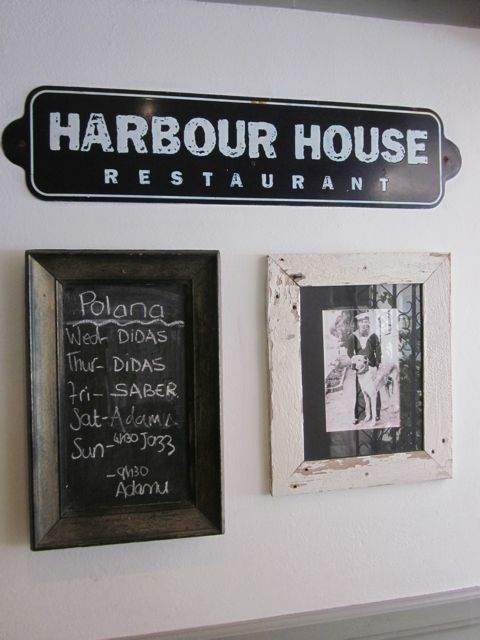 Harbour House Restaurant: This is without doubt the most pricey out of the restaurant offerings – but there is something very special about spending a long long afternoon having an extended lunch at this spot. They have the winning combination of the best setting being upstairs, the view feels endless over the ocean from one side and over the harbour from the other. Picture sitting watching the waves crash below you, sipping champagne at a table with a thick beautiful table cloth draped to the floor, gorgeous decor and some of the best fish dishes you will have ever eaten……….it is simply perfection! This is one of my favourite restaurants in Cape Town and should be added to the list of “Must do’s” by anyone who comes to Cape Town. 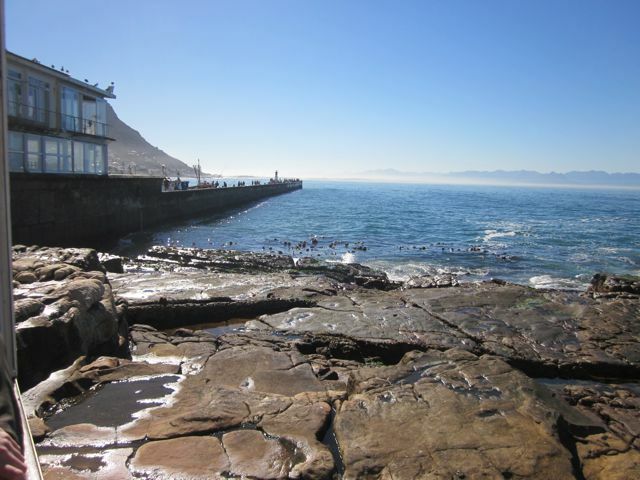 From the harbour take a stroll along the main road of Kalk Bay. 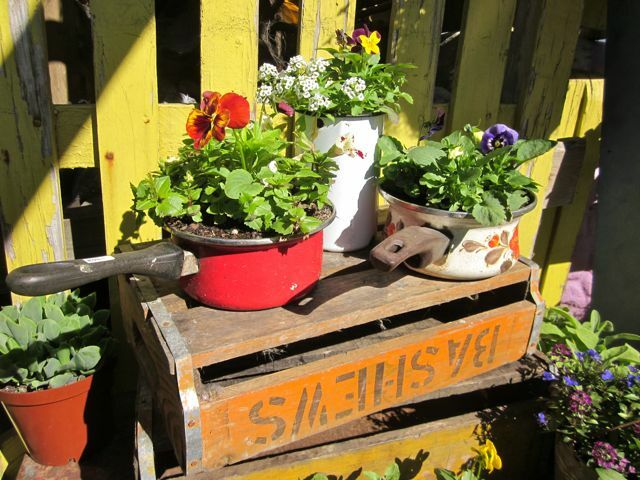 The village is home to an “arty/creative” set of people and the shops reflect this, as do the clientele! You will find an eclectic set of art shops, bric a brac, interesting clothing stores and some more interesting restaurants and bakeries. 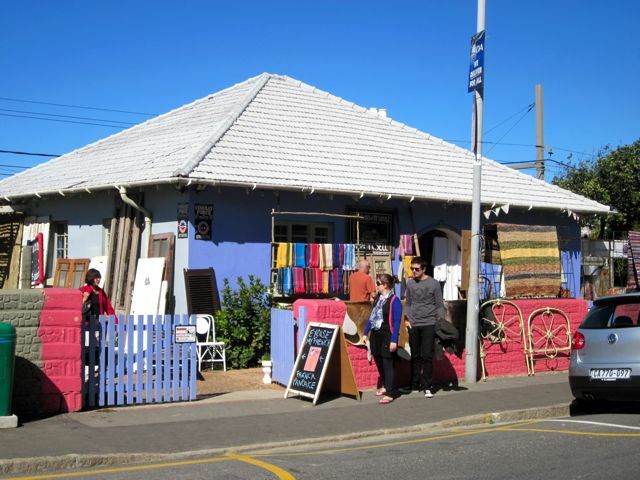 For foreigners I would highly recommend two shops: Kalk Bay Modern and Artvark. 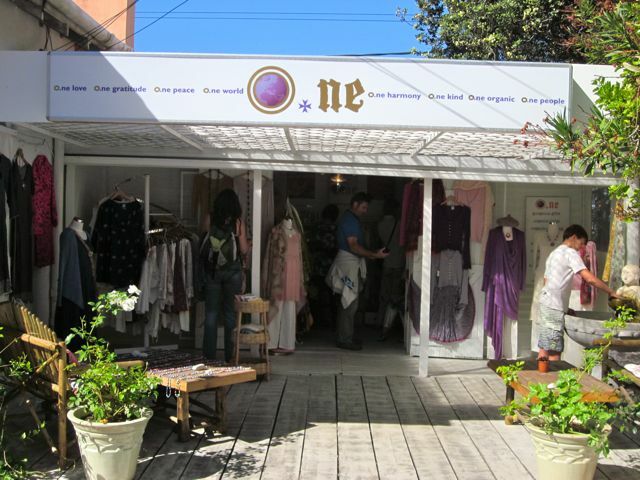 Both of these stores reflect interesting arts and crafts sourced from locals. 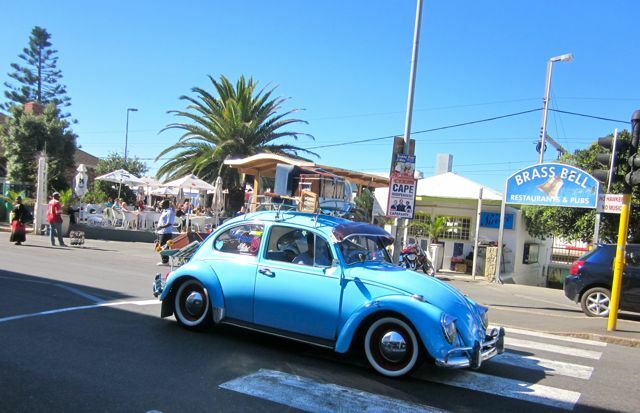 Kalk Bay Modern is in the first building you will come across as you head into the village from the harbour. It is upstairs, so look for the staircase just past the bottle store. Artvark you will find a couple of blocks down on the left hand side, just past the church that has been turned into a community theatre. 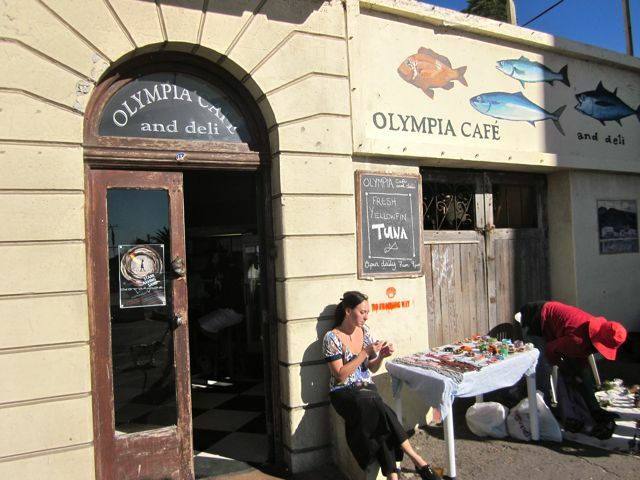 In the same building as Kalk Bay Modern, you will find my favourite restaurant in Cape Town – The Olympia Cafe and Bakery. This restaurant started life as bakery – they had space at the front and so decided to buy some chairs and tables from some of the guys selling “antiques/bric a brac” along the main road. 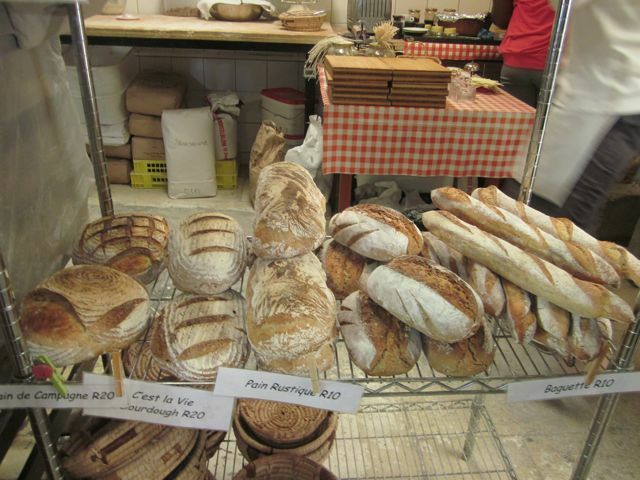 They simply placed a gas stove behind the front counter where they were selling their breads and opened up for business. Soon it was open 7 days a week for breakfast, lunch and dinner. This spot is quirky, busy, shabby, slightly dirty, has waiters with lots of attitude who have been there forever and view it as their second home, great food, a menu that changes daily, fresh fish delivered still flapping by the local fishermen (you literally hear a bang and it is then added to the menu!) and is filled with interesting creative people who make it great for people watching. I love it! 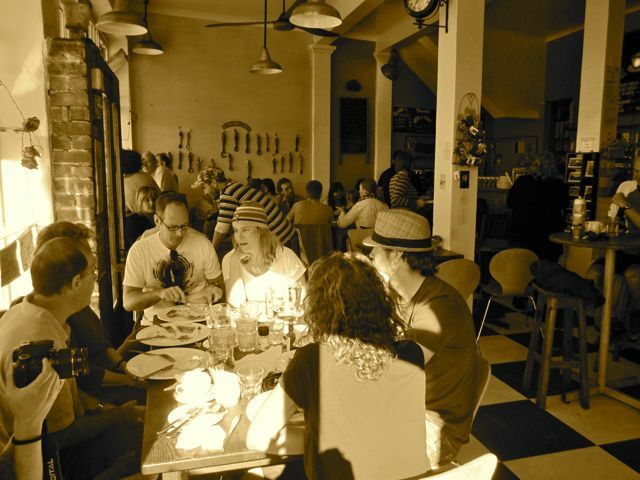 There are lots of quirks with it – note that there is no booking allowed, there is a board as you enter the door – if there is no space, add your name to the list – if you are not on the list – you will never get a table. This is an insider tip – so do not tell others in front of the queue you are in! 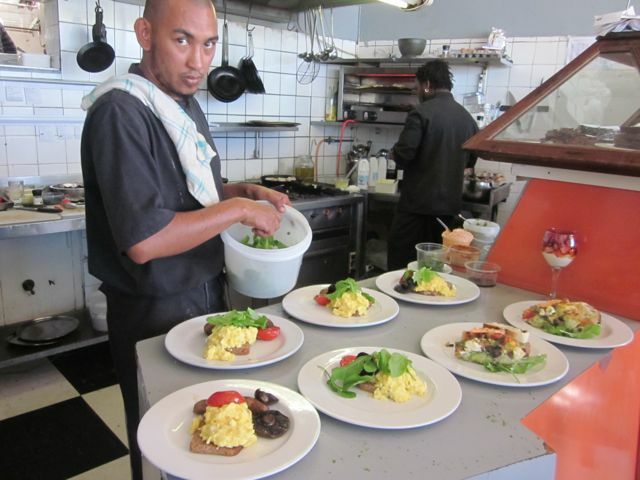 Certain favourite dishes appear on the menu quite regularly – they are famous for their tuna, their mussels and their seafood pasta. Another tip is to at least make sure you have a cappuccino at Olympia – they are also my favourite spots for coffee. 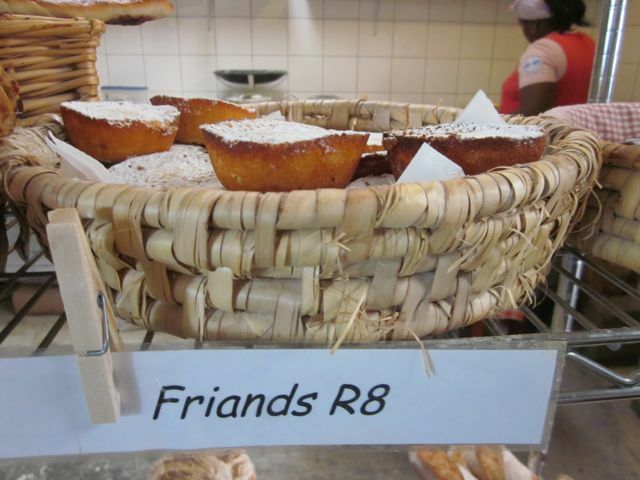 Over time the restaurant became too chaotic to try and sell bread and pastries inside – as such they have opened a little bakery outlet around the back – make sure you stop to buy bread – they have the best ciabatta bread in Cape Town. After a coffee, pastry or lunch, keep walking down the main drag and enjoy the eclectic stores along the way. 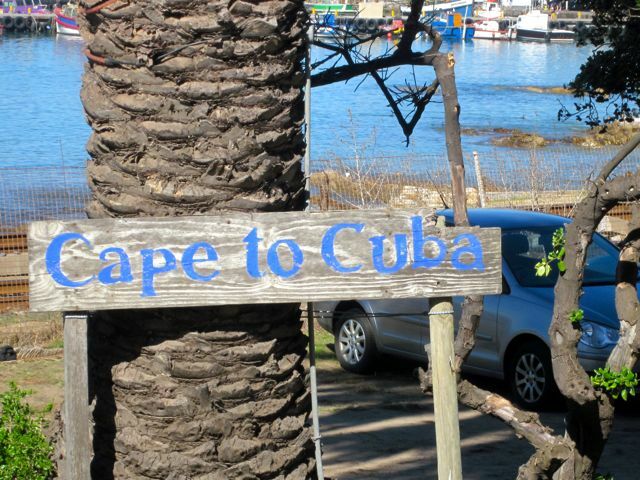 A short distance further on you will come across the Cape to Cuba Restaurant and Che Bar. This is a fantastically creative spot stuffed with interesting furniture that is all for sale – including the chandeliers above your table. They seem to go up and down in terms of the quality of their food – however their setting right on the rail way line with a view of the harbour and the great interiors, make it a wonderful spot to gather for a long afternoon of lunch & drinks with your friends. The Che Bar on the property is really fun – great decor as well as having a pseudo beach bar setting outside. A little further down you will also pass another lovely little bakery and cafe called Tribeca Bakery which is well worth popping into as well. 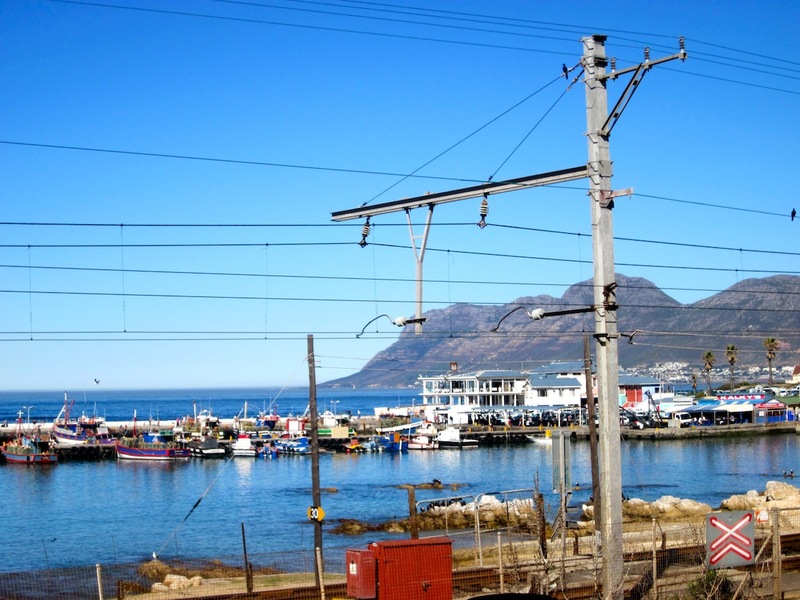 As you pass the Kalk Bay train station, you will see a sign next to the sub-way which says THE BRASS BELL. 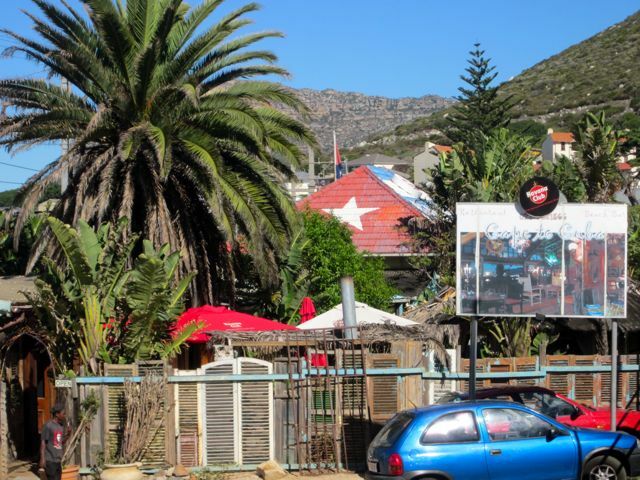 The Brass Bell is a favourite watering spot that has been there for at least 20 years (as a student we frequented this bar – so it is definitely over 20 years old!). 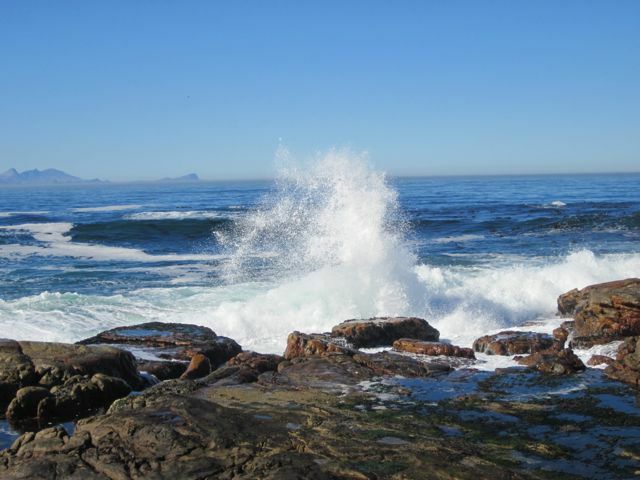 The Brass Bell is right on the ocean and as such the setting has always drawn the crowds from the area and the city for its setting. 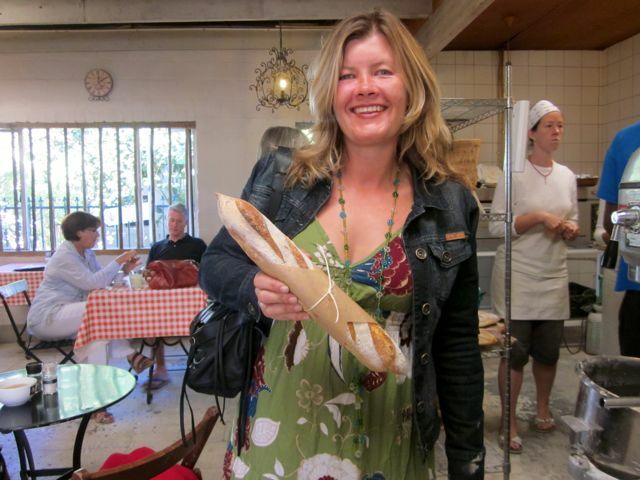 A new favourite is a little spot called Boulangerie – it is just off the main road in Rosemead Avenue- which is behind the store Artvark. They make exquisite artisenal breads (as seen in my hands) and their menu also looks really yummy. 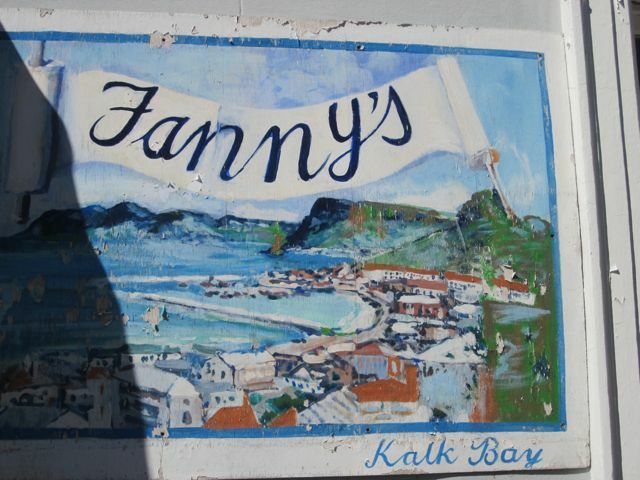 So…….plan on lots of visits to Kalk Bay if you have the time! 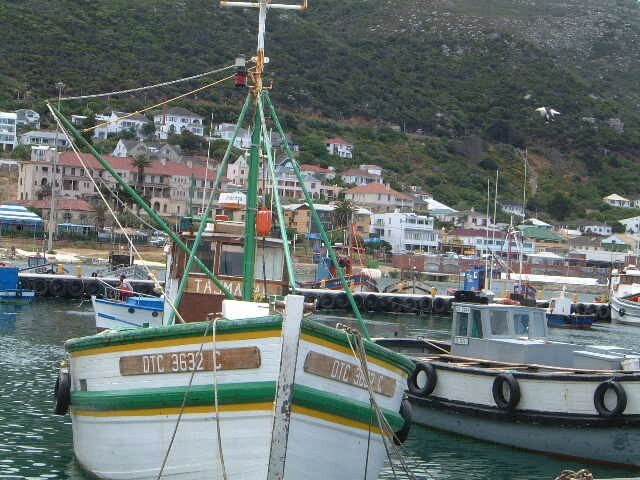 I leave you with a few more pictures below to set the mood for a visit to Kalk Bay.